There are few anglers who understand the nuances and differences between Skagit and Scandi (Scandinavian) heads, and fewer still that know there are times that a Spey caster can use both. An angler needs to meet the ﬁshing challenges with the appropriate tools required to get the job done and, in an ideal world, a caster adjusts the tools to the conditions they are ﬁshing. The most current, popular tools used at Alaska West are Skagit-style shooting heads. 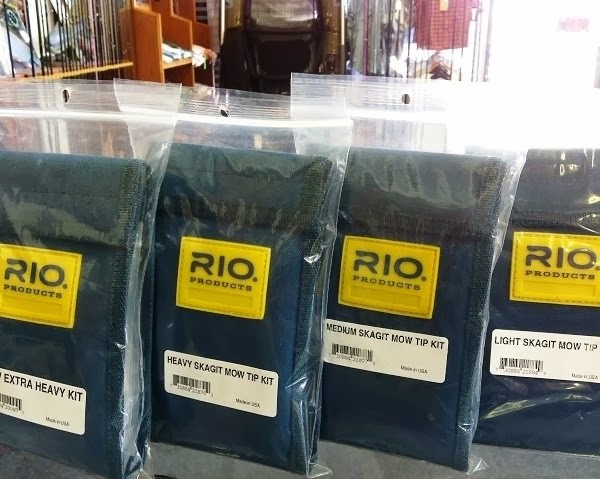 RIO’s Skagit Flight, IFlights and Skagit Shorts are the line of choice for many who enjoy a sustained anchor cast (casts that are associated with Skagit casting). Skagit heads tend to be thicker and offer more water resistance to get a better load on the two-handed ﬂy rod. The line design aides the mantra, “it takes mass to move mass”. There is more mass in an equally sized Skagit head than that of a Scandinavian style heads, which is what helps Skagit lines throw large, heavy ﬂies and tips. Density of the ﬂy and sink tip is what sinks the ﬂy. When lining your favorite rod, remember to match the line (head) to the rod and the tip to the line and ﬁshery and the current ﬁshing conditions. Scandi Lines, on the other hand, are designed to throw smaller ﬂies. They are a great line design for “airborne anchor” casts – casts such as the single spey and snake roll, and they are fun and enjoyable to perform. Scandi heads, such as RIO’s Steelhead Scandi, AFS and Scandi Short VersiTip lines, are thinner in diameter (particularly at the front end) and have a long front taper that allows the energy to unroll easily and efﬁciently to the end. As with most things in life there are exceptions to every rule. An angler can quite easily use a Scandi head for sustained anchor casts, or ﬁsh a ﬂoating tip on a Skagit head and smaller ﬂies. However, using the most suitably designed line for particular conditions will generally pay off best, and make casting and catching ﬁsh a whole lot easier. I like to keep it simple and recommend to my clients that they utilize the relevant tips that are designed to complement the various Skagit and Scandi heads. I would suggest investing in a set of MOW Tips for Skagit heads and a set of Spey VersiLeaders for when ﬁshing Scandi style heads. With the right balance of head and tips, you know that your gear is set up with every chance of success. Polyleaders and Versileaders are both words coined by their respective manufacturers. Polyleader – Airflo. 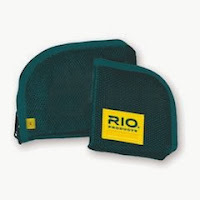 Versileader – Rio. Ok, think of these as taking the place of a conventional, mono leader however unlike conventional leaders there is actually a polymer coating that surrounds the inner, mono core. These leaders come in various densities, lengths, strengths and sink rates. Just like your mono leaders, they loop onto the end of your fly line and they are tapered so as to eliminate “hinging” and encourage smooth turnover. They have more overall mass – starting thick at the loop and tapering down to just the mono core at the fly end. So think of these as a leader – A leader that attaches to your fly line the same way a conventional leader would. A tip on the other hand, is an extension, or meant to be a part of your fly line that is either fused or looped onto the fly line. Some fly lines are constructed to perform with the addition of a tip. 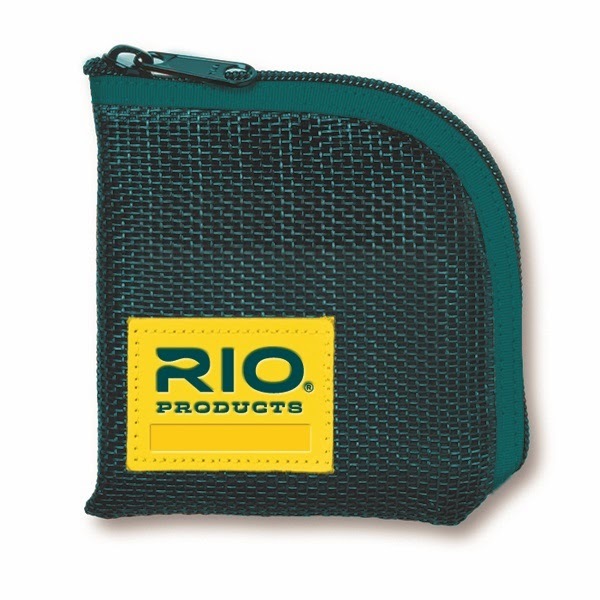 A good example of this is the Rio VersiTip II Fly Line for single hand rods. This particular fly line comes complete with a range of interchangeable tips that match your needs for the situation. Lines that are built to cast tips are very versatile because you may fish it as a floating line or at different depths in the water column. 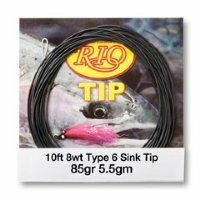 Tips are very popular with spey fishing. Spey heads, such as Skagit style lines are meant to turnover tips of all sizes – even extremely dense or aggressive sink-tips. These short spey lines need a tip to cast/fish effectively – whether it’s a floating tip or a sink-tip. 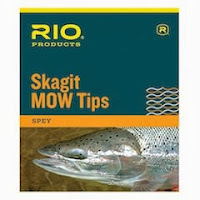 Examples of these are the Airflo Skagit Compact, the Rio Skagit Max and Skagit Max Short or SA Skagit Extreme. For those who prefer to fish longer spey heads there is the Rio Unispey VersiTip Line that comes with interchangeable tips in the mid-spey category (52+ feet). Keep in mind that Skagit lines as well as longer spey lines that are built for integrated tips all perform well at casting high density tips but other lines cannot handle heavy tips and this is where poly/versileaders come into play. Single-hand lines… Most floating single-hand lines are not built to handle a looped on tip. The lines simply aren’t tapered for this addition. A short or light tip may be manageable, but for the most part, if one wants to add a sinking option to the line, a poly/versileader is a better choice here. They are much lighter and tapered, making them easier to cast on these setups. Typically, the shorter a given fly line, then the easier it is to cast an added tip or polyleader. Extreme weight forward fly lines between 20-40 ft will cast a looped-on tip much better than longer headed lines. 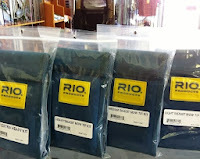 Rio Grand, Rio Outbound Series including the new Rio Outbound Short Shooting Head and the Airflo 40 Plus are examples of shooting head style lines that can handle added polyleaders or short tips. Why polyleaders? Most single hand lines will cast polyleaders with far less effort than a traditional, un-tapered, heavier sink tip. And since there is a poly coating around the core, and hence more mass at the top of the leader, there is a smoother transfer of energy from fly line down the taper to the fly. One could also argue that they are easier to cast at short distances – more mass means easier rod loading. Furthermore, the additional weight of the leader means that it will maintain its momentum better on the forward stroke. So for punching line into the wind, polyleaders are a great way to go. Keep in mind, however, that these aren’t great for soft presentations; so intricate dry fly work is perhaps best left to traditional mono leaders. But, if you are pounding banks with say, large, foamy dries, then trout-gauge polys will help you zip them out there. Now the sinking options really help for swinging emerging soft hackle patterns or throwing streamers. Sinking polys will aid the cast and help you get just a bit deeper and can be used in place of split shot which is always nice (although split will sink much quicker). Nymphing anglers should use traditional mono leaders or, better yet, Fluorocarbon. I just ran across an article on the internet where they talked about OPST Commando Skagit Line (Olimpic peninsula skagit tatics). They used it on a single handed rod although I think it was designed for a switch rod.I was wondering if you could use it for stripers at the forebay or big san louey. They have demo’s on it on YOU TUBE but they are using 3&4 wt.rods. I think the biggest single handed rod that you can buy a line for is a 6 or 7 wt. Also I was thinking that I could make my own line using a T11 or T14 line. I’m getting old so I can use all the help I can get. The casting looks super easy so that even a beginner can do it right off the bat. Any advice will be will be greatly appreciated.